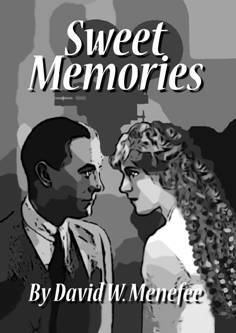 Pulitzer-nominated author David Menefee has generously offered to send an autographed copy of his latest book, Sweet Memories to a lucky winner. 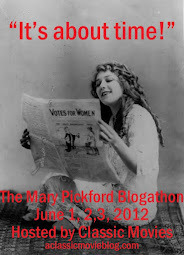 The book is an entertaining fictional retelling of Pickford's early life and career as told by her mother Charlotte. I'll share more details about the contest, and my Q&A with David, as we get closer to the event. Sarah Baker is the author of one of my favorite classic Hollywood books, Lucky Stars, the dual biography of silent stars Janet Gaynor and Charles Farrell. It is also one of the first books I reviewed on this blog. Sarah also toiled for seven years to complete a documentary about Olive Thomas, the tragic first wife of Mary Pickford's brother Jack. When I first saw The Artist (2011), I thought, well I've already met this character! There really are a lot of similarities between Jean Dujardin's George Valentin and the titular hero of actor and writer Stephen Jared's classic Hollywood-inspired adventure novel Jack and the Jungle Lion (which I reviewed here). I will soon review Stephen's newest novel, Ten-a-Week Steale, which is set in 1920s Hollywood. Stephen will be writing about Pickford's fame and her marriage to Douglas Fairbanks. 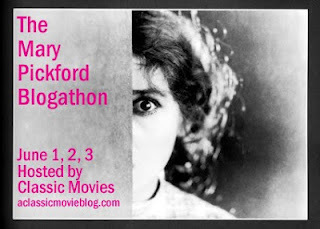 I am also delighted to have the opportunity to interview Peggy Dymond Leavey, the author of Mary Pickford: Canada's Silent Siren, America's Sweetheart, which was published late last year. This is going be a fun event! There's still plenty of time to sign up, either by posting in the comments here or sending me an email at classicmovieblog (at) gmail (dot) com. Thanks again to everyone for your interest so far.